CC Cohort William Rubano found and posted a car that is not exactly a common sights on the streets. 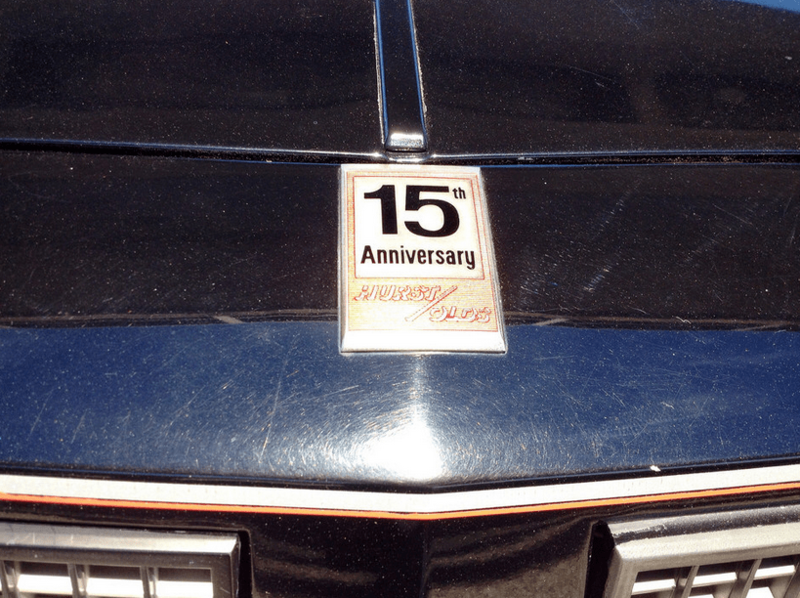 This 1983 version of the Hurst/Olds was the 15th Anniversary of the first Olds/Hurst, a specially modified Cutlass/442 coupe that had a modified 455 Rocket V8, of which only 515 were built. Compared to the 1968, this 1983 version had a much smaller engine but was a bigger seller, with 3001 units sold, despite a hefty markup. Here’s the original, which managed to get around GM 400 cubic inch maximum for intermediate cars, because Olds implied that Hurst installed the bigger engine. In truth, they were built on the same line as all of the 442s. Its 390 hp 455 was teamed with a THM 400 automatic and of course a Hurst Dual-gate Shifter. Of course the big engines were a distant memory by 1983. 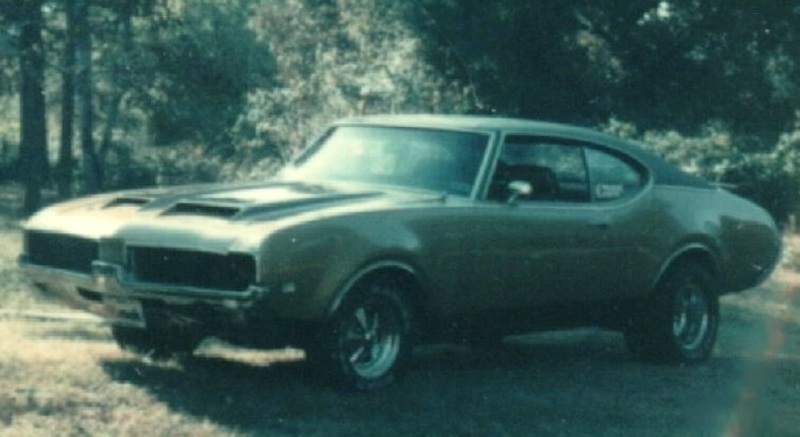 A modified Olds 307 sits behind the front fascia of this car, rated at 180 net hp, and 245 lb.ft. of torque. 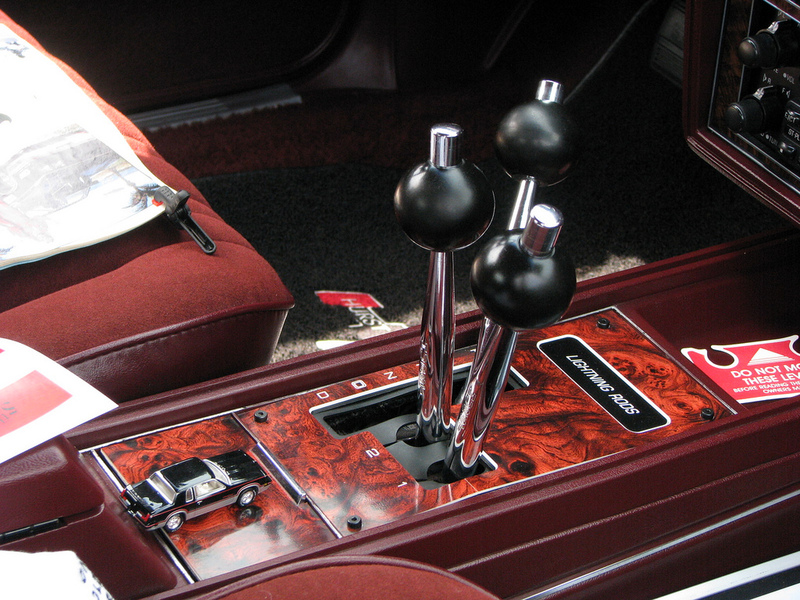 It works through a THM 200-4R four-speed automatic with Hurst’s “Lightning Rod” shifter. 3.73 rear gears and dual exhausts made for decent performance during these difficult times. Car and Driver tested a similar-equipped 1985 Cutlass, and achieved a 9.1 second 0-60, and 16.6 second 1/4 mile t 83 mph. Top speed was 113 mph. Today even the cheapest economy cars would walk away from this H/O. Production was planned for 2500 units, but demand upped that to 3001. In 1984, 3500 units were sold. But that marked the end of a long collaboration. The rumble from its twin exhausts go a long way in making this an attractive collectible period piece. I’m almost old enough to remember when these 15th Anniversary H/O were new. If Olds was still around, I bet they’d be working on the 50th Anniversary edition 2018 H/O right now. That observation makes me feel old. I wonder why a black over silver paint scheme was chosen? Hurst’s traditional colours were gold and white, or less commonly gold and black. Could be worse. I remember when the original came out. It is also important to remember 180 hp was approximately a 40 hp boost over the non high output 307 that was installed in the pedestrian Cutlass Brougham. That is a fairly significant jump. If I had kept my Cutlass Supreme Brougham sedan with 307 long enough for it to become a 2nd car/project I would have seriously considered trying to upgrade the engine to high output status. No shots of the inside? That Hurst lightning rod shifter these showcased is something to behold. I still don’t know how the hell it’s supposed to work! It’s so you can shift manually when drag racing without the possibility of missing a shift. I believe that you put the left stick into the spot between Neutral and Drive, then you pull down the right stick for 1st gear, the middle stick for 2nd gear, and finally the left stick into Drive for 3rd gear. For normal automatic shifting you’d just put the left stick into Drive and ignore the other two. 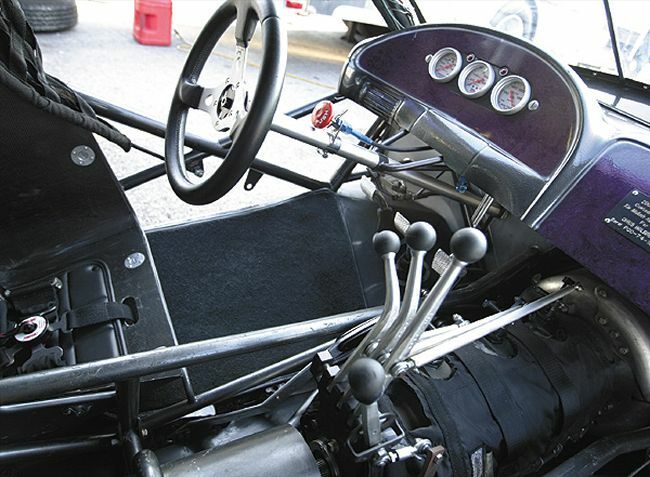 This was Hurst’s riff on the popular, drag-racing-only Lenco shift lever arrangement. To say Hurst’s Lightning Rods were goofy would be an understatement. IIRC, in C&D’s test, in actual operation, the levers were essentially useless as the transmission was set-up to shift at a certain point, regardless of whether the specific lever was pulled or not. 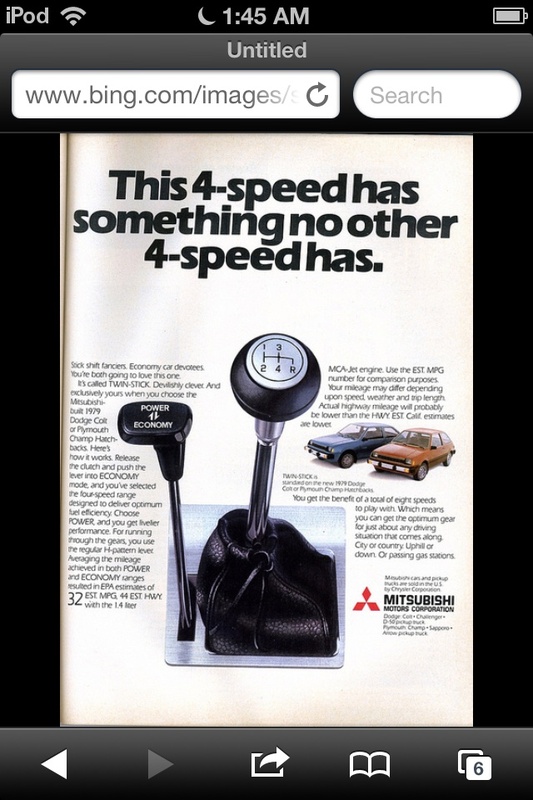 The bottom line is that the Lightning Rod shifter was really silly in a street-driven car (and not much better in a track car) and a far cry from the much better Dual-Gate shifter for which Hurst was famous. I haven’t kept up with drag-racing trends for decades, but I think the multiple shift lever fad faded away long ago. When I occasionally watch the NHRA Pro Stock class on tv, I see them still grabbing alot of levers. I rememember that test too! What a joke. Yeah, I recall C and D labelling the Hurst Lightning Rods as a gimmick with little useful performance benefit. I remember taking one of these cars for a spin after seeing it at a used car lot. This was back in 1987 or 1988. I was not impressed. Not as much power as I was expecting, and an automatic transmission was not my idea of high performance, or even very much driving fun. I think the test drive lasted all of 15 minutes and then I was on my way. Although pricey and rare, the late sixties’ Hurst/Olds ranks as one of the most potent of GM’s offerings during the musclecar heyday, supplanted only by cars like the 375hp SS396 Chevelle, the 350hp 327 Nova SS, and the 427 COPO Camaro. The inaugural ’68 Hurst/Olds was probably the best of the series since it had the most restrained styling. Next year’s white/gold car was okay, except it had a rather ungainly (although certainly effective) hood scoop. In fact, I always wondered if Oldsmobile’s efforts in air-intake engineering was an inspiration to Chrysler, who had probably the most effective hood scoops with the fiberglass, lift-off Six-Pack hood for ’69 and the 1970 Challenger T/A hood. I have not seen one of these in years. i saw one in the for sale corral at Carlisle during the GM Nationals years ago. I will be honest with you folks, when this came out, I was a kid and I was most impressed with its looks. but now that I am approaching the age of 40 in a few short years, I find this car to be pretty pointless. it is all show and no go. Yes it has 40 more HP then the base 307 boat anchor, but it still is pretty gutless. This car seems to be a metaphor for the 1980’s itself. All glitzy and glamor on the outside but hallow and false on the inside. If Oldsmobile had been serious about offering a 15th anniversary Hurst edition, they should have offered it with the Buick 3.8l turbo engine. It is not like it would have taken too much effort to adapt it to the Cutlass as the regular 3,8l engine was in the base Cutlass. Once again Chevy would be crying about how their baby was being threatened by the other divisions building real performance cars. 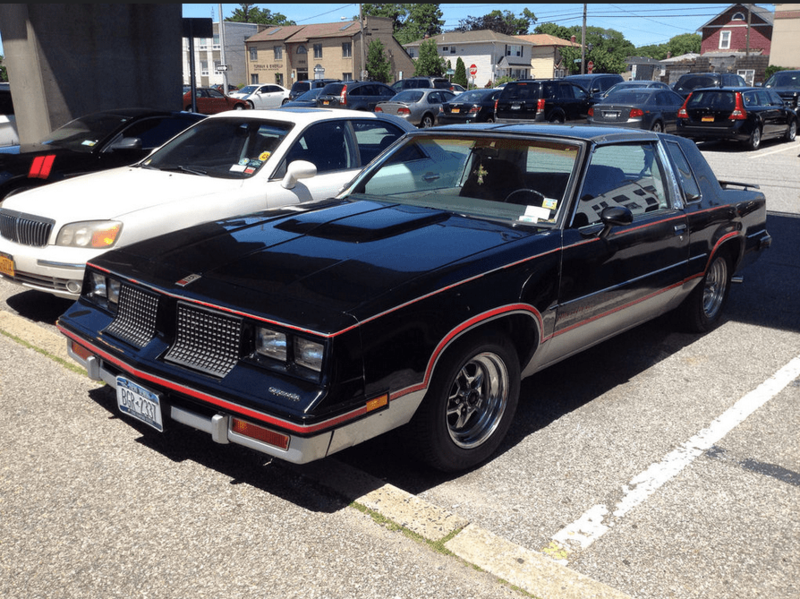 You have to wonder how Buick managed to get the 3.8L turbo approved for the Grand National. Maybe it was because it was a V6 as opposed to everyone else’s V8s and went underestimated. To this day, it’s a very potent engine (old Grand Nationals with just a few tweaks and sticky rear tires routinely pull the front tires off the ground at launch) and was the equal (if not faster) than the Corvette, something that the Bowling Green people almost certainly didn’t take too kindly, particularly considering how weak the other offerings were from Chevy, Oldsmobile, and Pontiac. Although the Grand National shared the chassis, it was simply in a class by itself with that turbo engine. Then in 1989, the Trans Am Firehawk kicked the Grand National in the face, and stole it’s engine… Leaving it in a fetal position. Buick had been building carburated turbo 3.8s since 1978. They along with the early Olds diesels (also new in ’78) were the last gasp of division-exclusive engines from the General. The V6 was their baby so despite Buick’s traditional lineup and customer base they got to build a turbo version. Even as the Olds diesels and NA Buick V6s became available on cars from other GM divisions, the turbo V6 was still exclusively Buick. The black cars made their debut in ’84 along with a new fuel injected version of the 3.8 turbo. It got an intercooler in ’86 and the rest is the stuff of legend. Wonder how many people you’d annoy if you put a turbo 3.8 into a Vette? I’d stay far, far away from Bloomington Gold (now held in Indianapolis) if I were you! The GN’s were very quick cars, probably as quick as a contemporary Vette or even quicker in some cases. But the Vette out braked, out handled, and had much better high speed performance than the GN. The 1985 Vette could break the 150mph barrier with the new TPI V8. Perhaps GM suits forgot that sports-cars are not merely about straight-line acceleration; the Corvette layout is optimal for roadholding. But in America that would be a harder sell than in Europe. Actually the 1985-1986 Corvette had a 230hp engine in it. But I understand what you are saying. Corvette performance was nothing to write about compared to the 1960’s Vettes. However the 1985 Vette was a regular production car and every Vette had the same 230hp engine. The 1983 Hurst Olds was simply a window dressing on a regular Cutlass Supreme. If that was not bad enough. Oldsmoble decided to make it worse by dragging the 442 name in the mud by offering it as a “package” for a regular Cutlass. 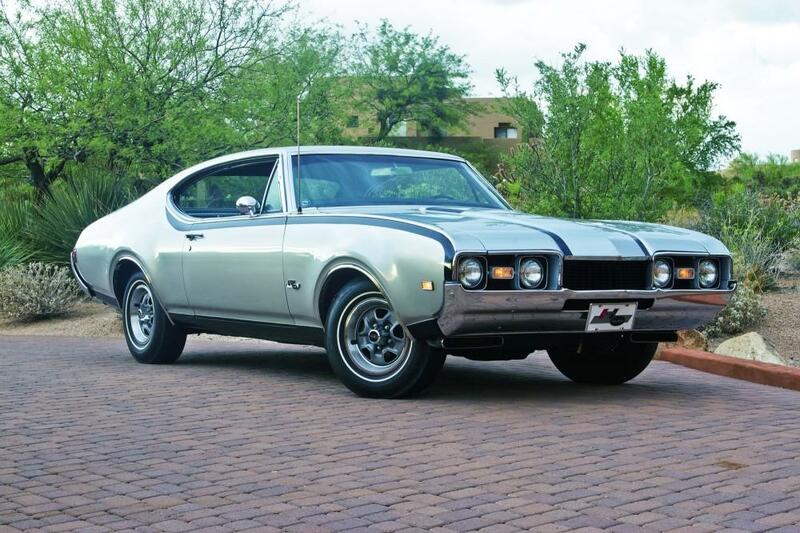 Thus Oldsmobile managed to ruin the names Hurst Oldsmobile and 442 in one fell swoop. Thanks Paul for once again tarnishing another one of the cars I lusted after in high school by stating the facts. Man, this site is depressing sometimes. What was the price premium over other Cutlass Supremes? I saw this car in a Lowe’s parking lot in winter time. It’s obvious that the owner likes to drive it. I still like ’em, but I’m a G-body fan. It looks good, especially in black over silver. And for its day, it wasn’t slow. Granted, its day was one of the worst spans for performance ever, but still… Also, they’re not rare enough that I would feel guilty about making some enhancements in the power department. A turbo 3.8 or a Rocket 350 are bolt-ins. Would have loved that version of the 307 in the brand new ’85 Delta 88 in which I went through driver’s ed. Add some extra goodies to a model, give it a trick paint job, & top it off with a magic word like “Hurst” or “Shelby,” & the wannabe racers will be drawn like bees? to honey. Just the same, this ’83 is a handsome package, with perhaps the greatest auto transmission of the day. 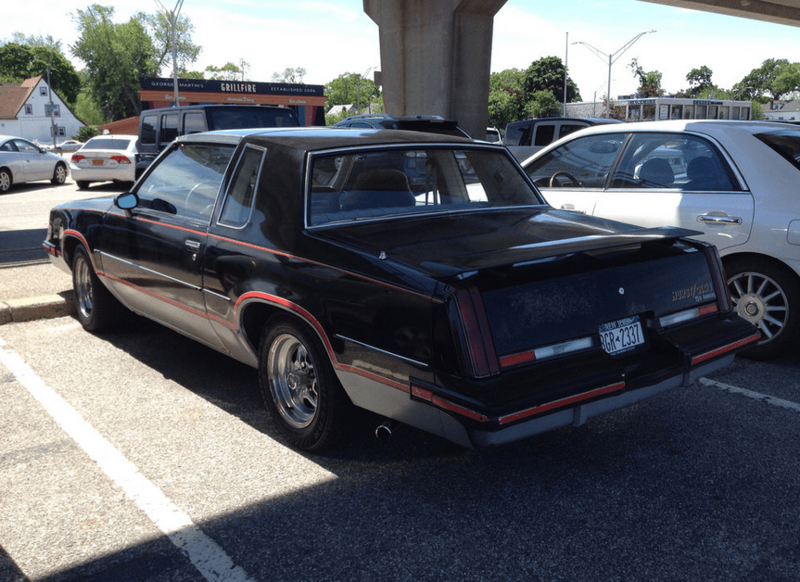 Partial CC effect–just saw an 80’s Olds Cutlass Supreme drive by my office window. It wasn’t a Hurst/Olds–in fact it was a sedan, rather than a coupe–but it was the nicest Cutlass Supreme sedan I’ve seen in ages. Two-tone light blue over dark blue, color-keyed Rallys, pretty immaculate. Nice to see a non-brougham version of the Cutlass,even though the original Hurst 442s would eat this alive, and spew its remains out of the exhausts. They should have kept the olds 350 in production through the 80s, imagine if they put a tuned port injection system on it. Hold on to your butts! Let’s not forget Chevrolet reintroduced the Monte Carlo SS in 83 . Could it be that Olds marketing folks wanted to do a retro performance look to compete. I always liked the shovel nose Cutlass style over the 78-82 models. 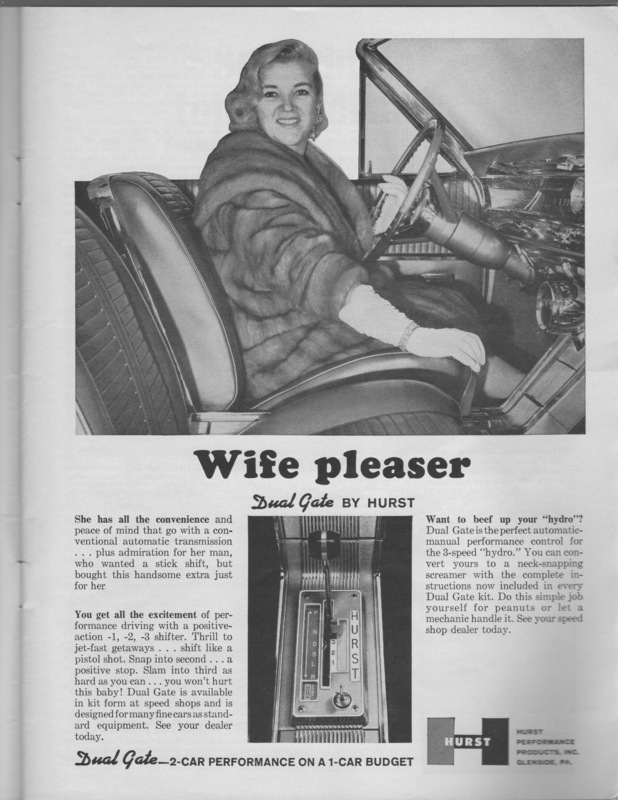 That Hurst shifter don’t impress me. Might look OK on a forklift ! That shifter is just as bad, as the Multi-Shifter Chrysler/Mitsubishi put in those 1979-84 Dodge Colts and Plymouth Champs. Good job… Great way to make a sucky car, even suckier. I test-drove a Colt with one of those back in 1982. 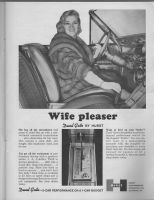 You shifted regularly with the transmission (like a 4-speed) then used the second lever to grab 5th. Now, with the Colt’s extra golf club, what did you notice, during the test drive… Better performance or better mileage? 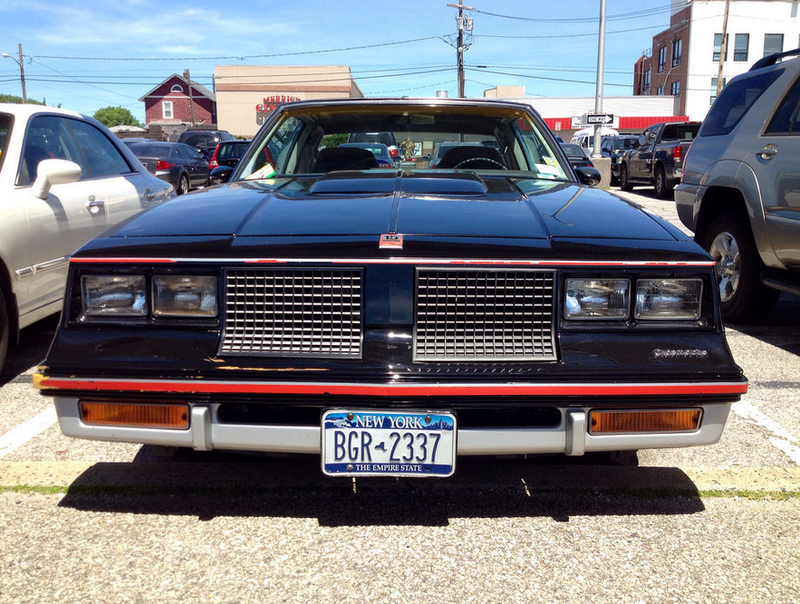 I like the G-Special Olds but this one seems overdone, especially the hood bulge and red stripes. A SBC or LT swap would suit one of these very well. I owned a 69 442, 400 cid big Block THM 400 trans. back in the early 80’s. It was my teenage high school driver. In my area during that time frame all my friends drove late 60’s to early 70’s muscle cars. Street racing was what it was all about! Due to the lack of performance parts for Oldsmobiles I converted mine to a Chevy power plant. It was an easy swap, over the course of a few years I experimented with several engines (427,350, 454 and sold it with a 327). The picture shows the added ram air hood and rear wing I added from a 70 W30 Olds 442, another bolt on. This has always been my favorite car and I’ve had many! A friend down the road from me had a 69 Hurst Olds, man wish I had those back! Thanks for the memories! How cost were new 1983 Hurst?